From Alice D Millionaire to the world's biggest hi-fi – the life of Owsley Stanley | What Hi-Fi? When I was at school, way back in the mists of time, you'd often find classmates whiling away endless double geography lessons, during which the clock seemed to move at an appropriately glacial pace, doodling in their rough books. Some drew cars – usually mad caricatures inspired as much by the cartoons in Custom Car magazine as their latest Hot Wheels acquisition – and others planes, the images lovingly copied from the pocket-sized war comics of the time. But there was one kid – a slightly quiet one, often seated near the rear of the class – who drew nothing but elaborate layouts of rock concert sound systems, complete with stacks of speakers and lights coming in from all angles. What we didn't know then – and what he probably didn't realise at the time – was that what he was really drawing, over and again, was a picture of one of the legends of concert audio engineering: the Grateful Dead's Wall of Sound. I thought about that classmate the other afternoon, when there was a piece on the radio about the recent death of Owsley Stanley, known to most as Bear, in a car accident in Australia. He was a celebrated – and determined – recluse, making enamel scultpures in his adopted Queensland (he'd moved there in the 1980s apparently to escape an ice age he expected to engulf the Northern Hemisphere), where he died, aged 76. So what made the link between that radio obituary and the classroom doodles? Well, Stanley – for all the rest of what could at the very least be described as an eventful life – was also also the driving force behind the concert rig by which all rigs are still judged: the Wall of Sound. Inheriting his name from his grandfather, who was a congressman, a senator and later governor of Kentucky in the early years of the last century, Stanley was born Augustus Owsley Stanley III in 1935. Expelled from school for drunkenness, he somehow got himself a place at the University of Virginia, reading engineering, but quit after a year to join the US Air Force where he trained in electronics and radar. He also dropped the 'Augustus': well, you would, wouldn't you? After leaving the services he studied ballet(! ), worked in jet propulsion and TV, and became a student at Berkeley, where he again lasted only a year. It was then that he became a legendary manufacturer of LSD in the California of the 1960s, apparently – there's a lot of apparently about Stanley – after finding the recipe for the substance in a chemical journal in the university library. In his chemical heyday he was immortalised by the Grateful Dead in the song Alice D Millionaire – after a newspaper article described him as 'an LSD millionaire' –, by Hendrix in Purple Haze (inspired by a batch of Owsley's 'product' made for the Monterey Festival), by Tom Wolfe in The Electric Kool-Aid Acid Test, and later as Steely Dan's Kid Charlemagne. 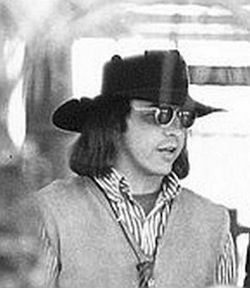 Released from prison in 1972 after a two-year sentence – ironically related to marijuana, not his LSD empire – Owsley went on to apply both his talents and the profits from his chemical capabilities to the development of The Grateful Dead and its sound. As well as designing the band's skull and lightning logo, originally as a stencil to identify its equipment at festivals and the like, Stanley developed the Wall of Sound to deliver all the nuances of the band's performances to vast crowds at huge open-air events. Weighing some 72 tons and using almost 650 speakers driven by 92 amplifier channels giving 26.4kW of power, the Wall was actually a series of separate PA systems, with separate sections optimised for vocals and each of the instruments. Arrayed behind the band, it acted as both PA rig and onstage monitoring system, Owsley having developed self-cancelling microphones (using a main capsule and another in reverse phase), run through a summing mixer to avoid feedback. Each member of the band had their own system, and control over its level – even down to the set-up using one channel for each string of bass player Phil Lesh's instrument, fed through a quadrophonic processor – and there was a separate system for the bass drum, and two more for the snares, tom-toms and cymbals. By keeping the 'channels' completely apart, the Wall managed to keep the sound clear, and free from distortion. Most of the amps were 2x300W solid-state designs, but a couple of valve amps, delivering 350W, were used for vocals and drums, where they drove the tweeters. The system used 89 15in drivers, 178 12ins and 320 five-inchers, all from JBL, and 54 Electrovoice tweeters: it was capable of delivering crystal-clear sound up to a quarter of a mile away, and sounding good even further out, until the effects of wind started dispersing the sound. In modern systems, delayed stacks are used further out in the crowd to give that kind of range: the Wall of Sound did it with sheer power. Yes, it could have covered that distance with less amplification behind it, but it wouldn't have been able to deliver the quality. So large was the system, and so long did it take to set it up, raising great stacks of speakers on powerful electric winches hung from scaffolding frameworks, that at least two stages were used – and sometimes three – leap-frogging each other so one was being built as the other was being used. And not everyone was entirely sure about the system's 'flown' – ie suspended – speaker cabinets, now common in PA systems: drummer Bill Kreutzmann wasn't too keen about the great central stack, winched and tilted into position above his head, and his drums had to be moved forward out of the potential 'drop zone'. Four articulated trucks and 21 crew looked after the Wall, and the band had a workshop dedicated to building, refining and maintaining the system. By the way, among those also involved in the project at the time was now-veteran US audio designer John Curl. He'd started his career with Ampex working on tape recorder design, and went on to design the likes of the 1974 Mark Levinson JC-2 preamp – which caused a stir at the time for its minimalist, tone-control-free layout – and the Parasound range of stereo and surround amplifiers. Eventually, the cost of keeping the Wall of Sound on the road proved unmanageable, and when the Dead took a break from touring in the early 1970s, the Wall was retired from service. The odd 1970s JBL drive-unit, claiming provenance as part of the Wall, comes up on Ebay from time to time: the bidding is usually fast and furious. Who knows whether or not these sacred relics may be genuine: by all accounts the components of the mighty rig were scattered on retirement, some parts finding their way into other PA systems, others lost into the audio systems of friends, fans and – well, almost anyone who was around at the time. Seen above at work, Stanley was also responsible for some of the band's best-known live recordings, despite the problems of mixing down the Wall of Sound – not to mention quadrophonic bass – to stereo.